Here's the skinny on everything that happened at this super fun mommy event! 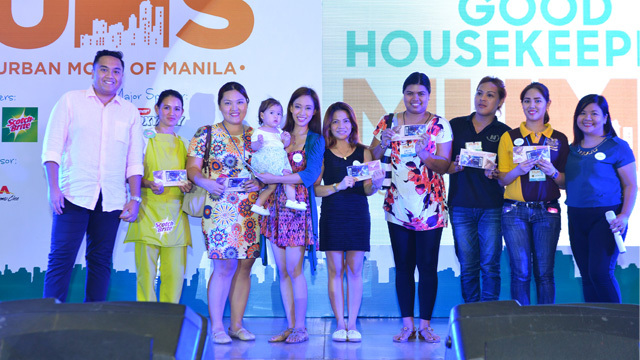 It's not every day that moms get the opportunity to gather and spend time learning and celebrating the highs and lows of motherhood, which is why we were more than happy to spend our weekend at the first ever MUMS: Modern Urban Moms of Manila event. 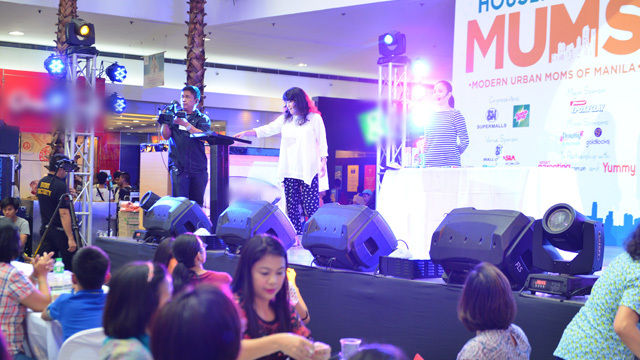 Hosted recently by Good Housekeeping Philipines, MUMS of Manila brought together SuperMoms from all over Metro Manila for an afternoon of fun workshops and fabulous finds at the Main Atrium of the SM Mall of Asia in Pasay City. Good Housekeeping Beauty Editor Elaine Natividad teaches a SuperMom various ways of tying a scarf. Moms often don't concern themselves with looking pretty, since most of them like to devote their time to their family. But at the MUMS event, mommies were taught several simple techniques to make sure that they are able to take care of themselves without compromising their family's needs. Did you know that you actually don't have to draw in your kilay? Beauty guru Ara Fernando says all you really have to do is choose the right eyebrow product (in the right shade, of course!) and fill the gaps in between your hairs with light feathery strokes. When it comes to pieces of clothing and accessory, it's important to keep it simple and never compromise comfort for style. Apart from having the classic little back dress in your closet, one of the best accessories you can have is an infinity scarf. GH beauty editor Elaine Natividad taught us 10 easy ways you can accessorize with a scarf—like turning it into a fasyon baby carrier! Beauty Guru Ara Fernando teaches a SuperMom how to do her brows. For moms who often find themselves swamped with random knick knacks at home, GH Mommy-in-Chief Tisha Alvarez recommends getting rid of at least one clutter every day. It makes a huge difference in the long run. Can't seem to let go of a sentimental piece? Tisha says it's actually okay to keep stuff that make you happy. The key to happy organization is to keep the things that spark joy and let go of the others. Chef Roselle Miranda shows moms delicious pambaon recipes. If you think letting your kids help out in the kitchen might just be your biggest nightmare, maybe you just haven't found the right recipes yet. Chef Roselle Miranda's quick and easy cooking workshop allowed moms and their kids to make yummy treats such as dough balls and chicken wraps while enjoying each other's company. These simple and delicious recipes are also perfect for the kid's baon! Another great way to bond with your kids is to get creative with them through different art forms. Professional stylist Coni Tejada taught moms and kids how to turn your every day hardware finds into easy-to-do home decors while GH staff writer Nicole Sindiong and artist Paola Esteron taught moms and kids the basics of calligraphy. Professional Stylist Coni Tejada teaches moms and kids how to turn everyday hardware materials to beautiful crafts! 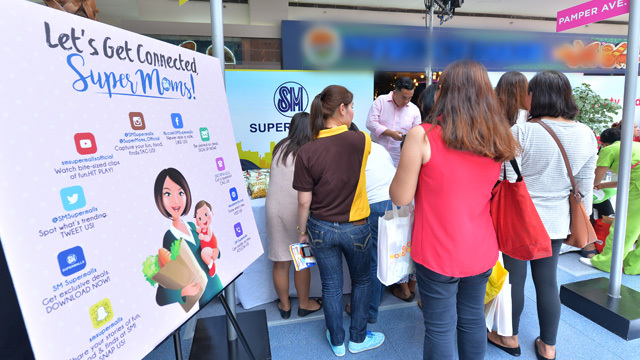 More than anything, the MUMS mainly paid tribute to the silent superheroes of the family - the #SuperMoms, who are the key highlight of SM Supermalls' family segment campaign launch during the event. "For 30 years, SM Supermalls has been a home away from home where unforgettable family bonding memories transpire and a witness to special milestones close to every mother's heart," says Jonjon San Agustin, SM Supermalls vice president for marketing. "Indeed, we can say that our story won't be complete without our mommy shoppers' own SM stories as they're largely a part of our three-decade journey." #SuperMoms raffle winners with the SM Supermalls senior marketing manager, Rose Jabeguero-Rodillo and marketing officer, Robert Alvarez. Now, SM Supermalls has its own social media hub for mommies, @supermoms_official on Instagram, which features daily MOMSpirations not only to make their lives easier in terms of taking care of their family's overall well-being through #FamilyFirstAtSM features but also to connect SM mommy shoppers and make them realize the importance of embracing their #MommyMeTimeAtSM. 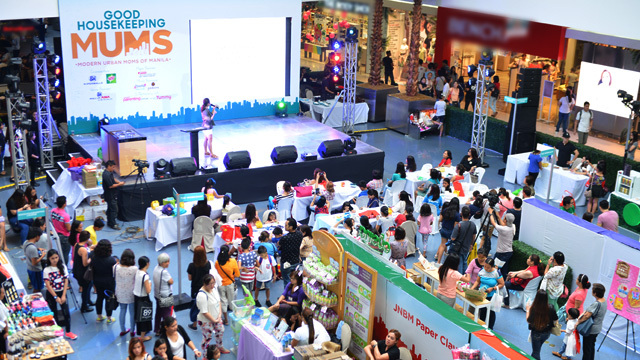 During the MUMS event, SM treated #SuperMoms with huge prizes from the Baby Company, Toy Kingdom, Family Entertainment Center Inc. and SM Markets. There are so many ways to celebrate and thank your SuperMom, like taking her to a spa treatment at your favorite SM Supermalls branch. You don't need to wait for special occasions to make your mom feel special, even the smallest gestures are enough to make her feel loved.